Easily adjust & hold all kind of samples with the Micro Vice for analysis with FTIR- and Raman microscopes, stereoscopes & microscopes. 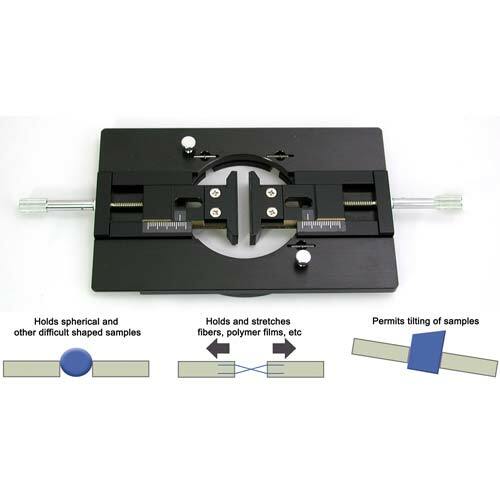 The Micro Vice sample holder provides a unique solution for placing and holding your samples in the desired position under your microscope. Individually shaped samples, such as minerals or tablets and pills, but also multilayer films, fibers, hair samples can be easily positioned and analyzed in that position under your microscope.